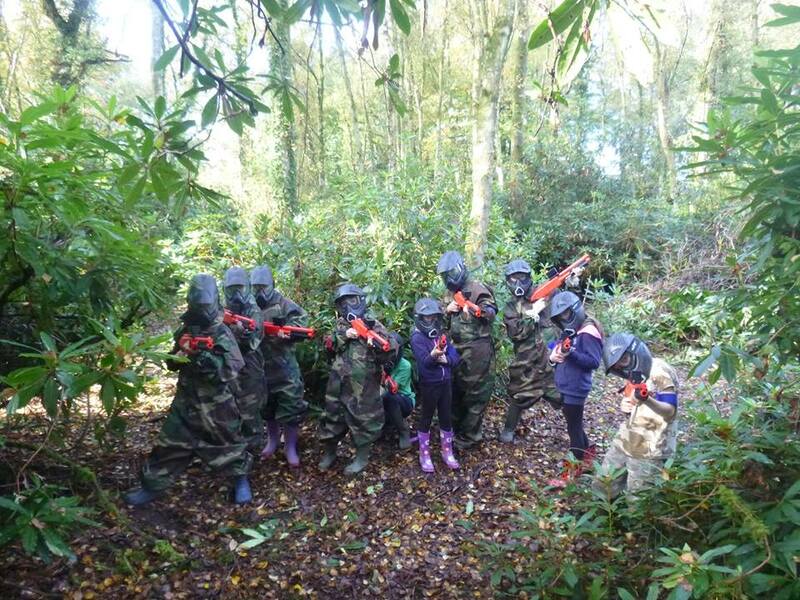 This low impact version of paintball is ideal for kids, families and friends. Play Splatgun paintball against your friends and family at either our North Devon or Somerset sites. It is so fun that kids as young as eight can enjoy running around our paintball arena, playing real paintball games against each other. The game is played with JT Splatmaster equipment. The guns are half as powerful as traditional paintball (no painful shots!) Though you defenatly know you've been hit and you'll have just the same saftely kit as a high powered paintball game. Its not just for kids. Let your inner kid come out as you run around the woods hunting down your friends in a bid to capture the flag or take thier base. "I just wanted to say thanks again for the brilliant party Brendan & Tom had last Saturday. They said it was the best party ever and I know their friends really enjoyed it ( a couple of them want to do the same for their birthdays! ) We were really impressed how well organised it was and we didn't have to keep control of the boys- well worth it! £30 per person for a two-hour splatmaster session with 200 paintballs included. The site is at the Woodland Play Centre in Crowcombe Heathfeild situated between Taunton and Minehead TA4 3SN. The woodland has 10 acres with a mixture of wooded and open areas. Facilities are car park, compost toilets, camp kitchen and covered meeting areas. Use the Book Now button to get yourself on an activity. If you cant find the date you're after or are a large group then just use the Contact Us page to discuss options. Please be aware the whole session time from arrival to departure is 3hrs. Please note that due to the high demand for this activity we are unable to offer refunds if you choose to cancel.